Farming & Ranching is the story of the West. Everyone who has settled here — from the ancient Puebloan peoples, to the Utes & Navajos; from the Spanish missionaries to the American settlers — has farmed. On this tour you will learn how agriculture defined and created the Colorado frontier. Mesa Verde Farms & Ranch Tours is a partnership between West Adventures & Tours, the Cortez Cultural Center, Mesa Verde Country, the CSU Extension Office and local working, family-owned farms. Because these farmers & ranchers also need to run their production, we do run the same tour every week, or even every month. 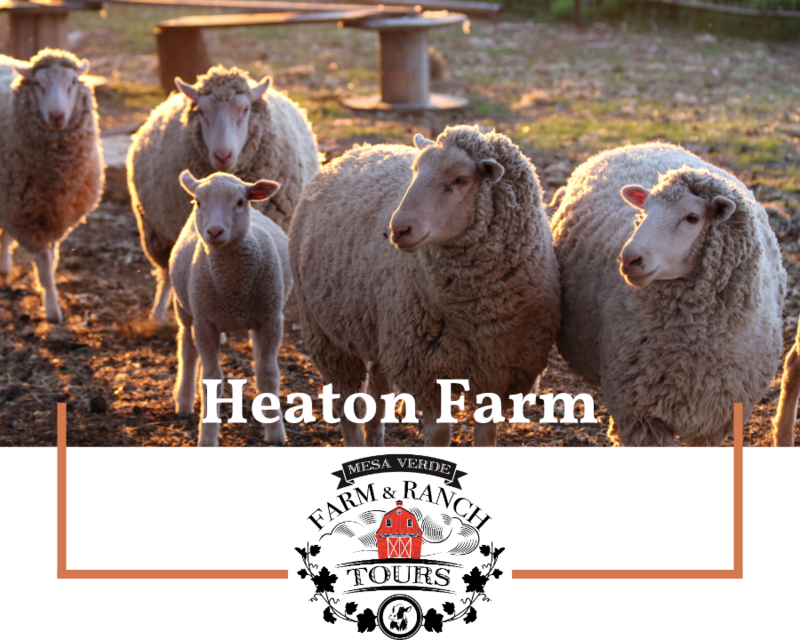 Our Mesa Verde Farm & Ranch Tours vary in topic, host and highlights, however each 6 hour excursion includes a tour of a working farm, and delicious samples of local product. 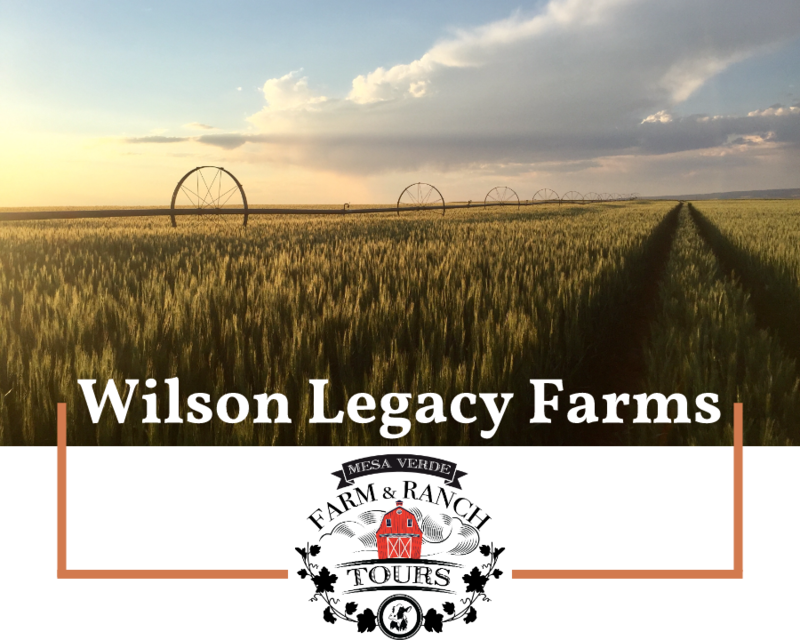 A fourth-generation family farm that was originally homesteaded in 1911, Wilson Legacy Farms centers on the value of hard work, honesty & integrity. At Wilson Legacy Farms you will hear about modern farming practices & conservation efforts, as well as experience what farming meant to the early settlers of Colorado. Owned and run by two former teachers, the McComb Ranch raises black angus beef and sheep. At the ranch you will hear about the commitment and hard work it takes to raise cattle and sheep to maturity as well as how modern technology has assisted in these efforts. Food restrictions: We can accommodate most food restrictions, including vegetarian, gluten-free, and allergy-restricted diets, with advance notice. TOURS MEET at the Cortez Cultural Center, 25 North Market Street in Cortez, Colorado. There’s lot’s of street parking nearby and behind the Cultural Center. If you’re staying in town, we can also arrange to pick you up from your hotel or in-town lodging. Please arrive 10 - 15 minutes before your tour. There is a museum and gift shop in the Cultural Center that you are welcome to investigate after checking in with your guide! Water & snacks are provided, and our guides always carry extra sunscreen & emergency supplies, but we suggest brining extra water, a hat, and sunscreen. We will be walking outside and it can get hot and dry in the summer! IF YOU ARE LATE call or text 970-739-0625 as soon as you can.